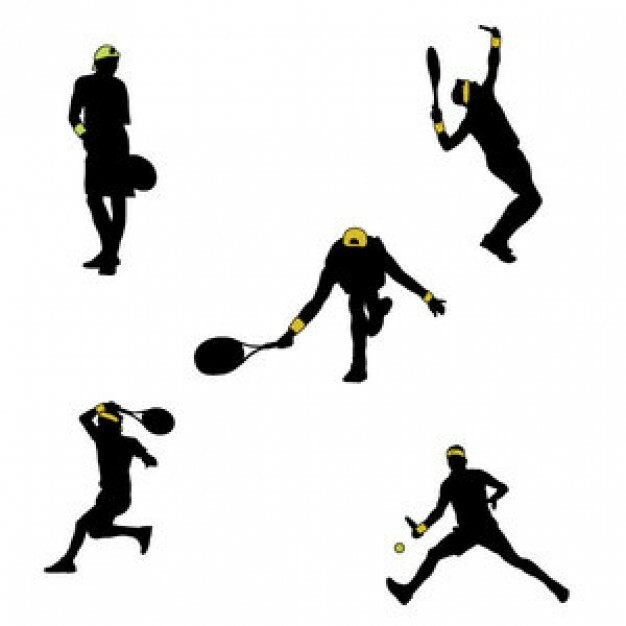 Sport: Tennis , info overview page. Tennis is played by two opposing individuals or teams of two on a court, which is either grass, hard court, clay, or carpet, divided by a waist-high net. Players hit the ball over the net with a racquet, making it as difficult as possible for the opponent to return the ball. Points are scored when the opponent is unable to return the ball before it has struck the ground a second time; scoring is done in points, games, and sets.